We’re Hosting a Free Webinar on Maximizing Your Summer Experience! Come One, Come All! Last week, NALP and ALI-ABA hosted the 2011 Professional Development Institute here in D.C. The conference was full of programs on best practices for new lawyers, business skills for lawyers, using personality tests and assessments for professional development, social networking and pro bono programs. On Friday morning, Jim Sandman, LSC president, and Caren Ulrich Stacy, president of Lawyer Metrics, spoke to attendees about how and why professional development and pro bono need each other. 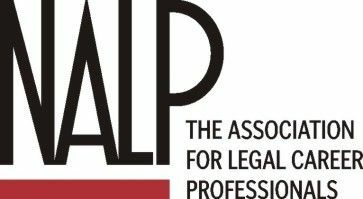 They focused on four main reasons why strong pro bono programs should be implemented and maintained in law firms: 1) filling a growing need, 2) attorney satisfaction and retention, 3) skill development and 4) client relations. Lawyers have more control with pro bono cases than on the commercial side. Pro bono work also helps with client relations because attorneys gain trial experience, which boosts their creditability with potential clients. Real world example of how pro bono can boost client relations: DLA Piper allows in-house counsel at Verizon (its client) to join its pro bono structure. This way, DLA attorneys work side by side with in-house counsel, learn from each other and improve client relations. Law firms need to put their money where their mouth is when it comes to pro bono programs. Attorneys need to have meaningful billable hour credit for pro bono work.